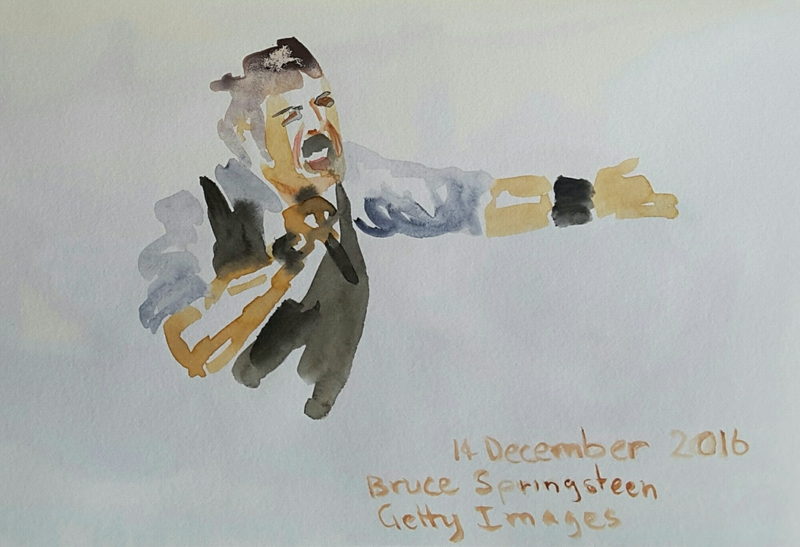 I’m in a watercolour sketching phase at the moment, sketching people in general and portraits in particular. Mostly I work in coffee shops trying to get a quick sketch done before the subject inevitably leaves at the critical artistic moment. However I am also really ‘over’ drawing people with cups or mobile phones in their hands. Given that I don’t attend regular life drawing classes I need a way to find some interesting models. So what to do? ‘Cheat’ I happily reply. 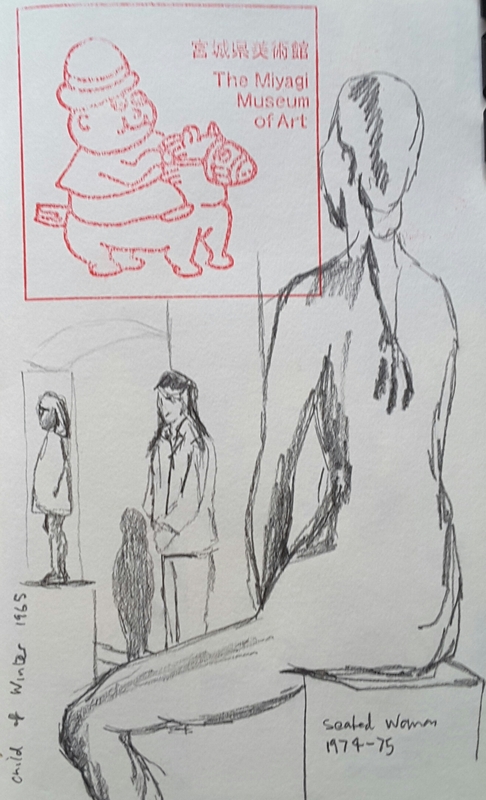 I notice that I am not alone in drawing sculptures, by way of a substitute for a live model. 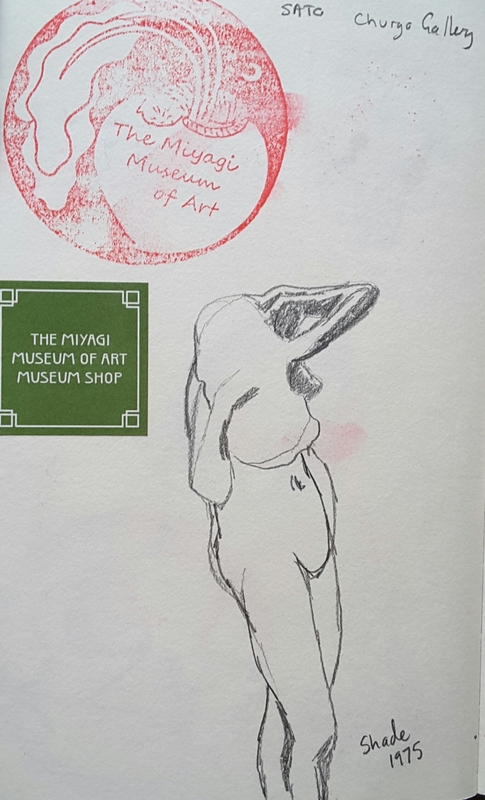 Art galleries or even local parks can be good places to find interesting subjects.Here are some sculptures I drew while I was in Japan. I find that newspaper photographers are particularly talented at capturing interesting positions of sportspeople or dancers. The hard part, is to spend only the same amount of time sketching from the photo as you would if they were really in front of you. Just remember this is a way to practise making a quick sketch, not a photo-realist masterpiece. Tomorrow is my first time back meeting with Urban Sketchers Canberra, after two months away. 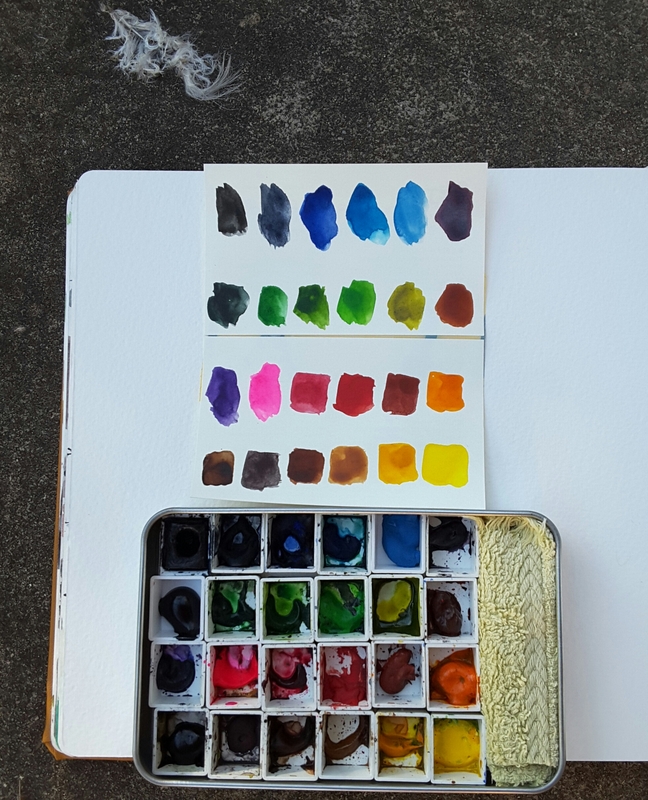 I realised that I wanted to change my watercolour box set up so I wasn’t lugging around multiple tins (like I normally do ). I had a tin and some spare empty half pans. All I needed to do was reorganise the two tins into one. The tin is 12.5 x 8 cm (roughly 5 × 3 inches). I also managed to fill the spare space with a bit of old face washer for cleaning my brushes. The pans are held in place by the simple technique of using heavy duty double sided tape stuck to one of those magnetic calendars (sent out by our local pollies). The magnetic calendar is easy to cut up then stuck on the bottom of the pans. The pans stay put for everyday use, but can be easily swapped around when I change my mind about what colours I want in the tin. There are 24 colours in the new tin and no doubt way too many browns and greens. I will play around with the combinations over the coming months and no doubt change it again!